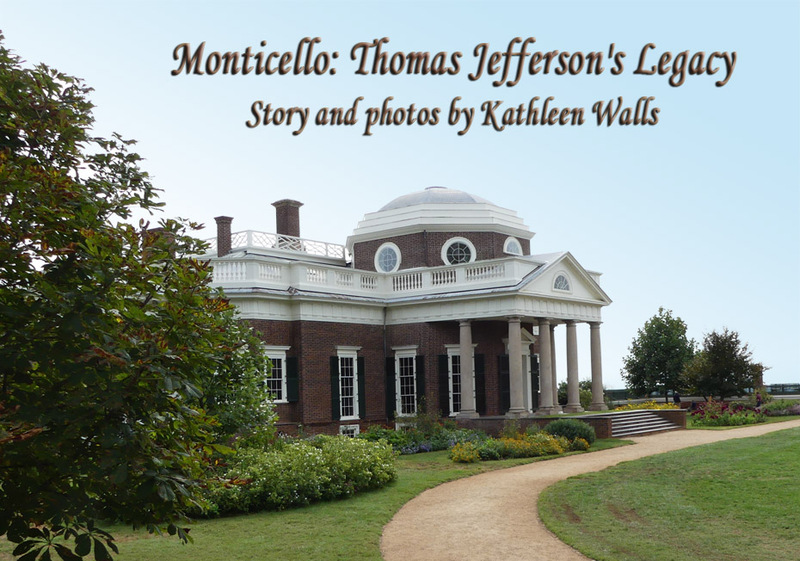 Regardless of your feelings about Jefferson, his home, Monticello near Charlottesville, Virginia, is one of the most fascinating historical sites in the country. It is huge with many different tours so plan on spending a good part of the day there. Jefferson considered himself a farmer first and foremost. Monticello is proof of his devotion to agriculture. The details of the home show him to be an accomplished architect also. Your tour starts at the David M. Rubenstein Visitor Center and Smith Education Center. Here you find a small museum explaining some of Jefferson's ideals. There is a wonderful interactive exhibit for children that help them understand what life was like in that time. There's a gift shop and cafe with short order foods and snacks. 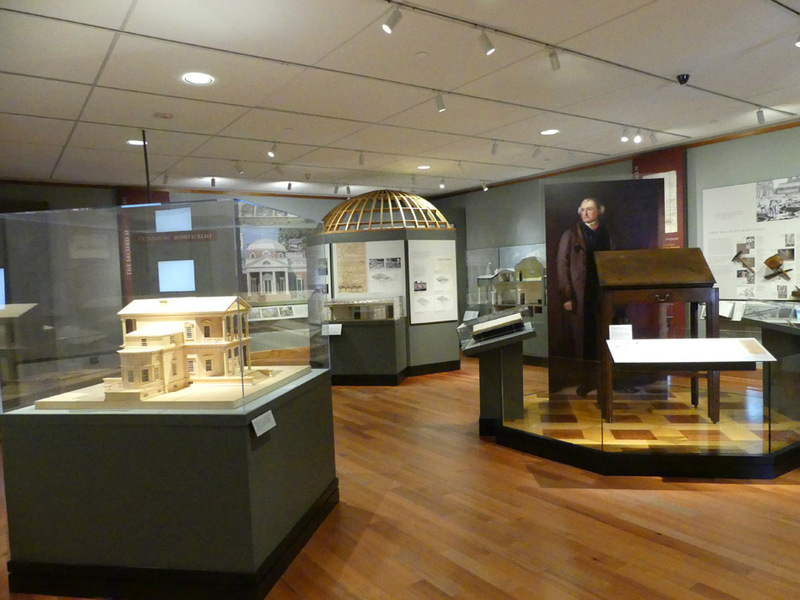 Thomas Jefferson's World is worth seeing at the theater in the visitor's center. It helps you understand how he could hold his views on freedom and equality yet still was a slaveholder. It lets you see things from the perspective of his era. Everything opens off the courtyard. 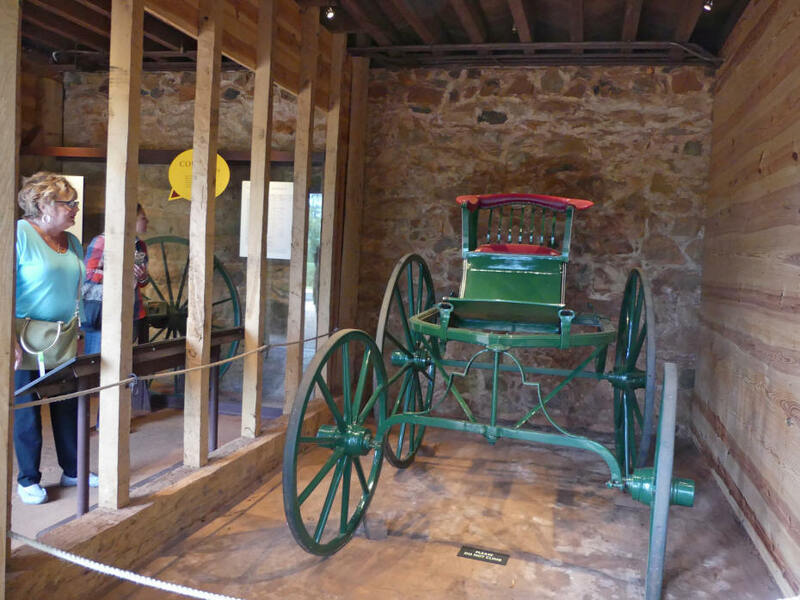 There's a lot to see here so take a few minutes before you catch your shuttle bus to Monticello. Once on Monticello grounds, you may have time to wander around and browse the gardens, slave cabins, and stable before your tour begins. The most basic tour is the Monticello Day Pass and House Tour. This was the one we took but remember there are several other options. This tour includes the first-floor tour of the house, a Guided Slavery at Monticello Tour, and seasonally, a Guided Gardens and Grounds Tour. Our guide for the house tour was very knowledgeable. The inside of Monticello is just as unique as the outside showing Jefferson's creative mind. It is filled with many of the Jefferson family artifacts. You enter through the east portico to the entrance hall. 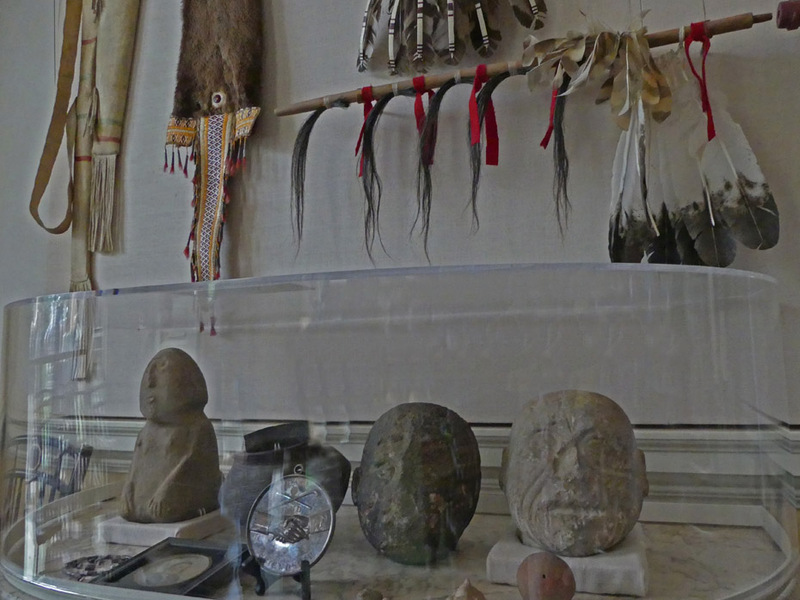 This room indicates many of Jefferson's varied interest with Native American artifacts and paintings, archeological artifacts such as varied antlers, maps and more. 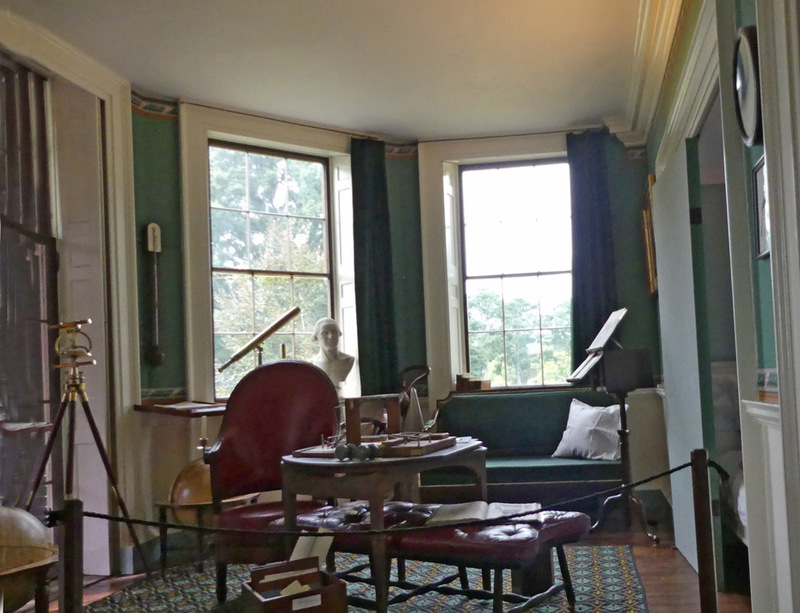 One of the most interesting parts for me was Jefferson's private suite. On the south side of Monticello, he had a library, the South Square Room, his bedroom, and what he referred to as his cabinet which was where he studied and wrote letters. 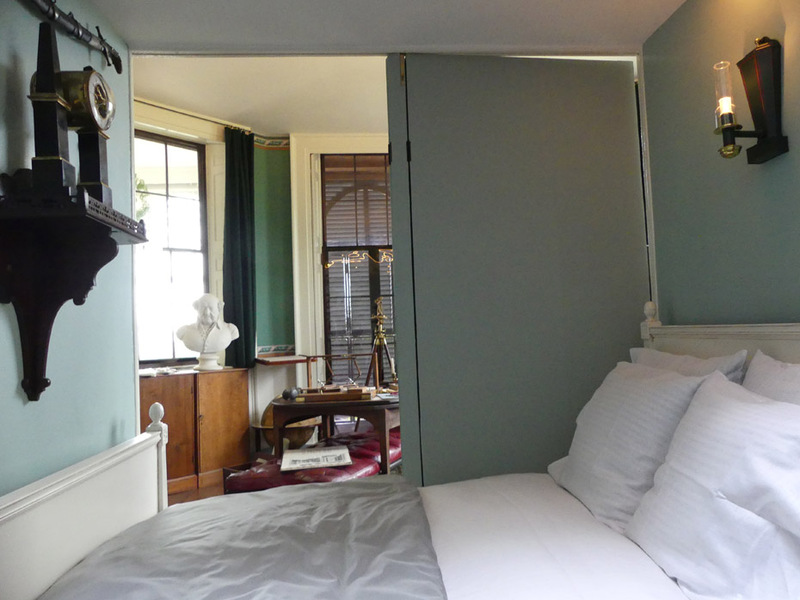 Unlike any other home of the era I ever visited, his bed is arranged in an alcove between his cabinet and the rest of his bedroom. There was a sliding partition that could close off the cabinet side of the bed. The cabinet is filled with interesting items such as a "copy machine" that allowed him to write with a pen attached to an arm holding another pen. When he wrote, the second pen made an exact copy. It's one reason so many of his letters are still available today. Another room in his suite is his personal greenhouse where he experimented with plants. All of the rooms are light and airy since the octagonal shape allowed many windows but the greenhouse has more windows than walls. The remainder of the first floor is more traditional. You can take an additional tour of the upstairs room if you wish. 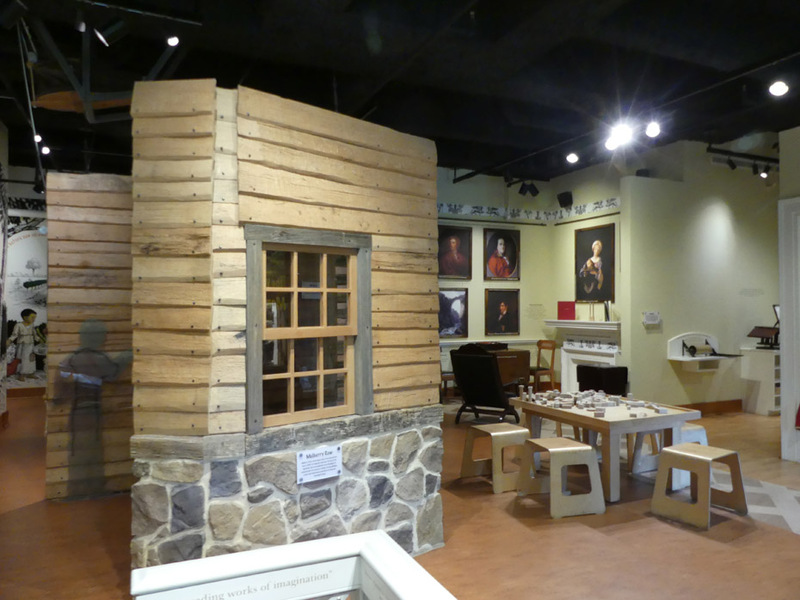 Much of the woodwork and furniture in the house was made by James Heming, a skilled enslaved carpenter. In the cellar you do a self-guided tour. 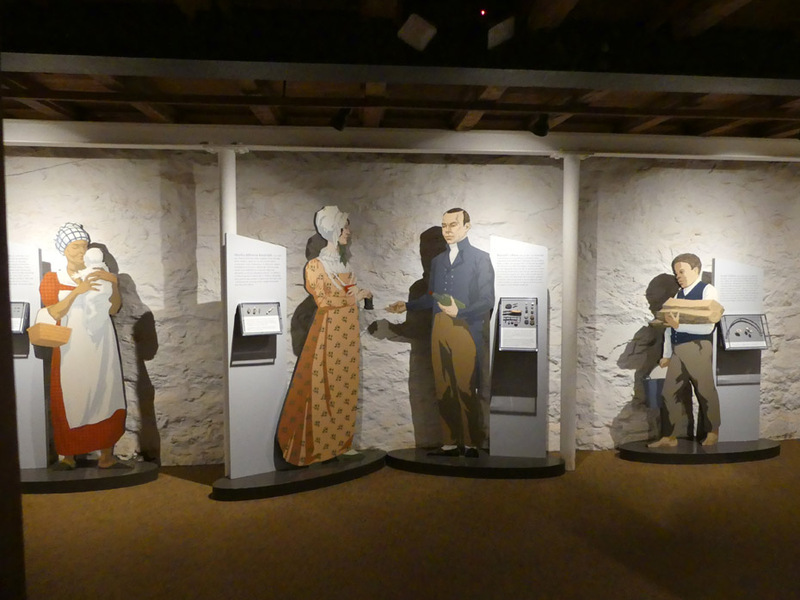 The exhibits here give you a very up close and personal look at life in the late 1700s. Transportation was by horseback, horse and buggy or stage, or on foot rather than today's fast cars. In the 18th century, a "potty break" usually required a visit to an outdoor privy or using a chamber pot. 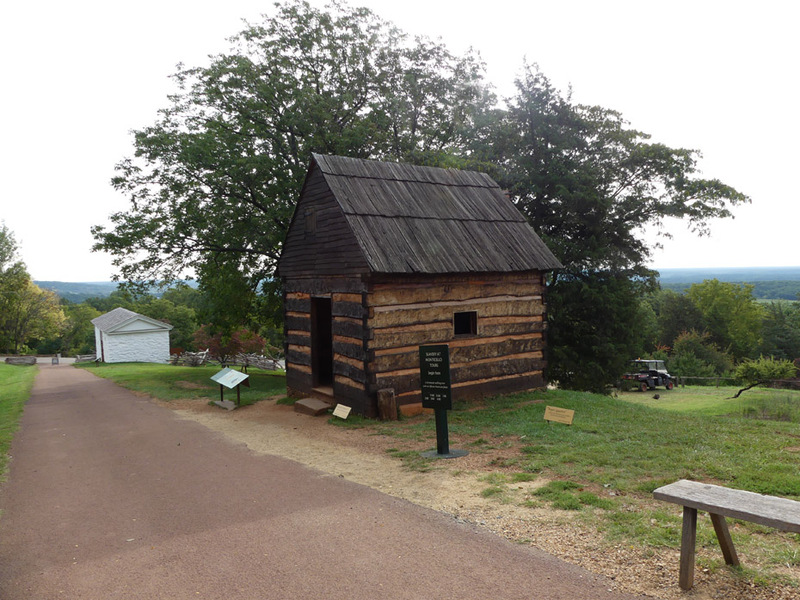 Monticello was state of the art for its time and had several indoor privies. 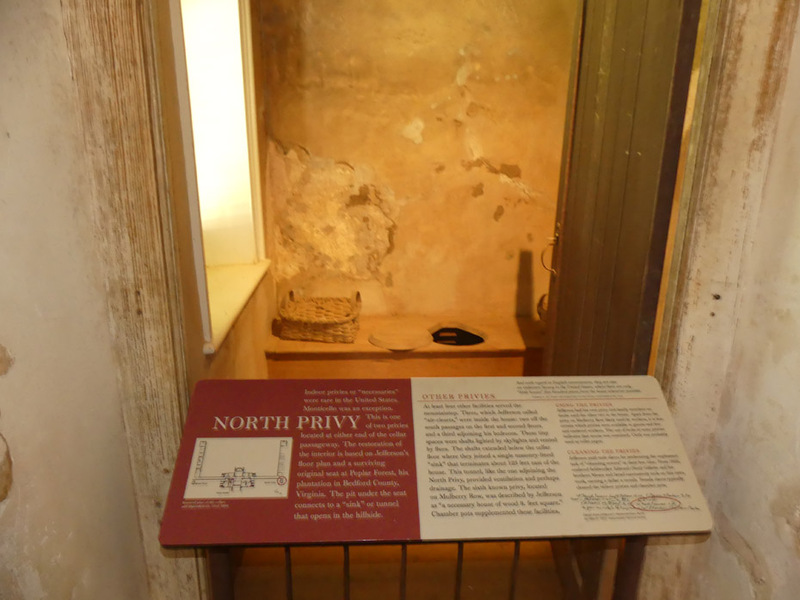 The one displayed in the cellar is called the North Privy. There was a similar one at the other entrance to the cellar. Jefferson even had three inside Monticello. One was located near his bedroom and two others were off the south passage on the first and second floor. They had shafts dropping beneath the cellar floor that connected to a sink or tunnel that was located a distance away for the house. Jefferson was a connoisseur of fine wine. 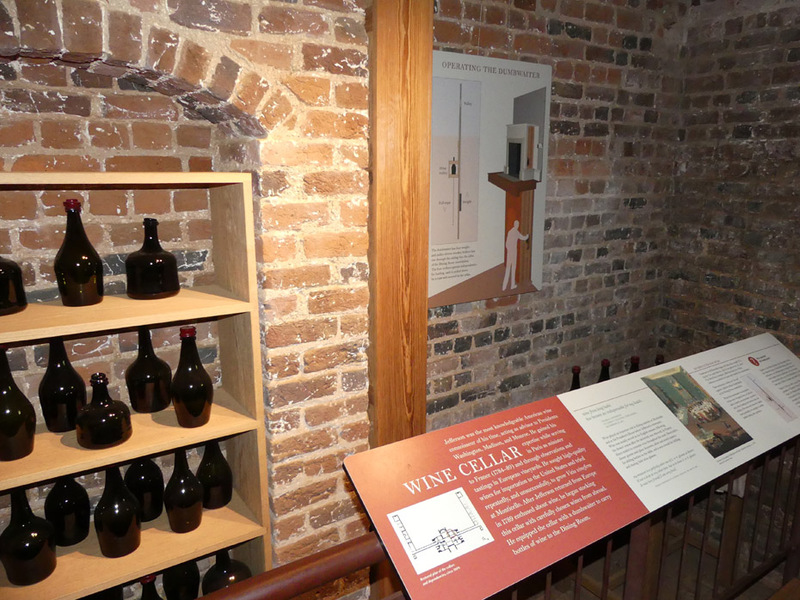 He had wine imported from France and had an extensive wine cellar with a dumbwaiter to get it directly from the cellar to the dining room. Much of his agricultural experiments were in trying to grow European wine grapes in Virginia but was not successful. Monticello recognizes the value of the enslaved people that maintained the home and land. 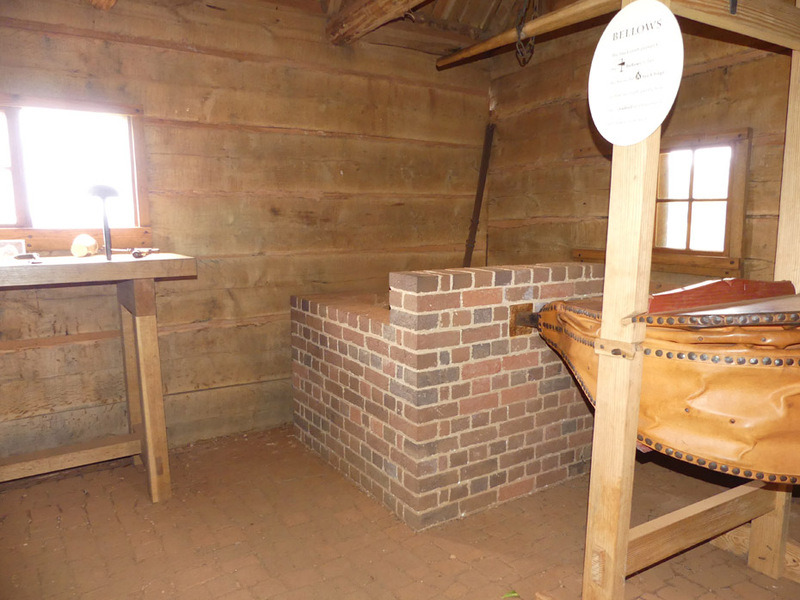 The cellar has many interactive exhibits showing various aspects of slavery at Monticello. You see how the enslaved peopel were the ones responsible for the smooth running of such a huge household. 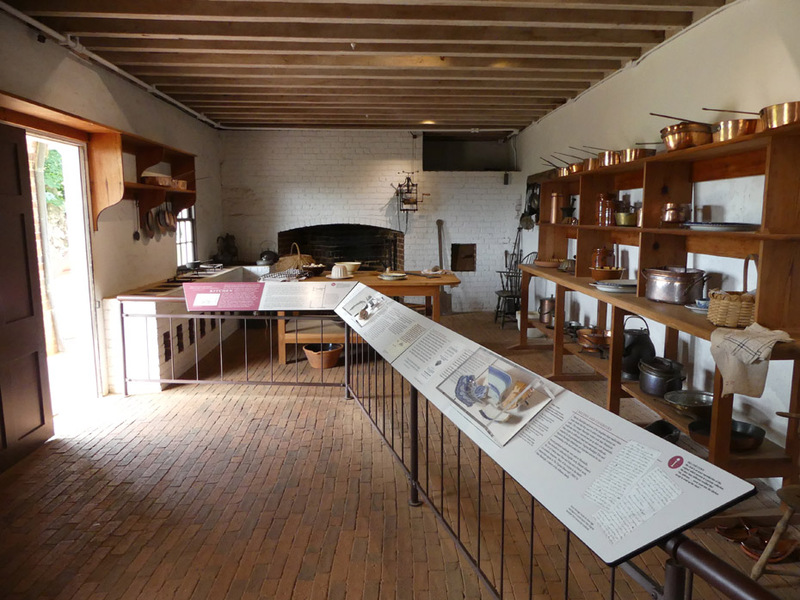 The recreated kitchen in the cellar was the domain of talented enslaved chefs. Jefferson loved good food and had his cooks either trained in France or by knowledgeable chefs. The kitchen is filled with many of the copper pots and utensils that were used in that time. 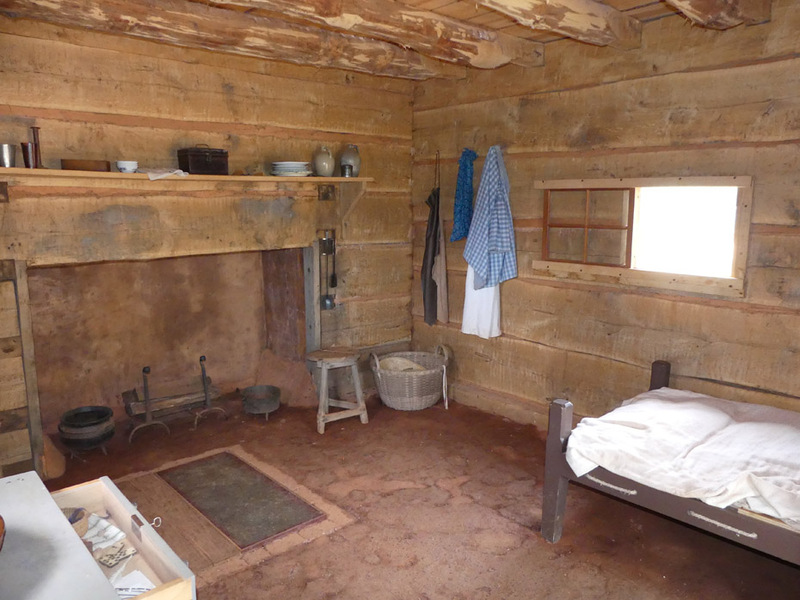 The cabin is much nicer and better furnished than most of the other slave cabins would have been. James was the skilled carpenter who created much of the main house furniture. Naturally, he made some for his own home. Pricilla was the nurse for the Jefferson grandchildren. As such, they had more opportunities to earn money during their free time. James was one of only seven people freed by Jefferson: two during his lifetime and five in his will. All were male members of the Hemings family. 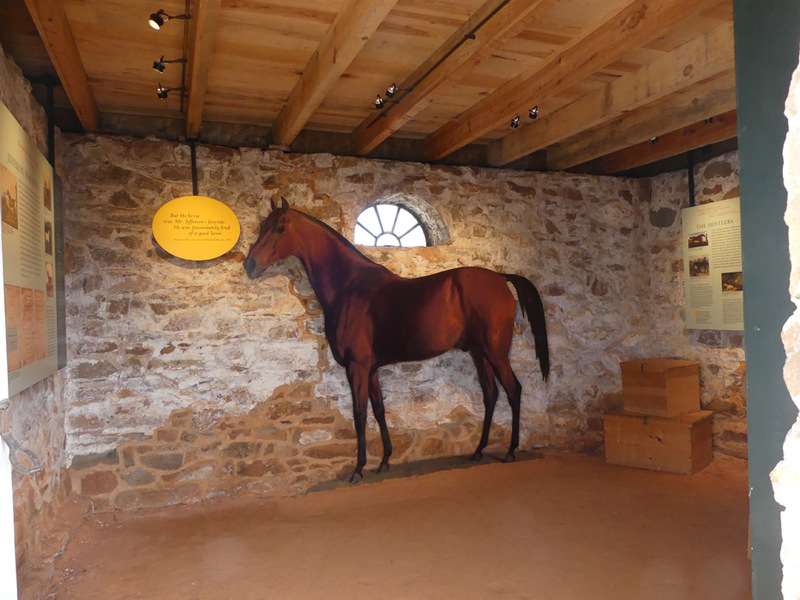 There is a recreation of Jefferson's stable. He was fond of horses and entrusted them to his most trusted slaves. Wormsley Hughes was head hostler and coachman beginning around 1808 succeeding an enslaved man named Jupitor. Hughes drove the Jefferson family around in a large coach designed by Jefferson and built by John Hemmings. Like all southern plantations of the time, Monticello was a self-sufficient village. Two of the things every village needed were a smokehouse and a dairy. Jefferson combined both at Monticello in one building. The blacksmith was another valuable enslaved person at Monticello. Isaac Granger Jefferson was a tinsmith as well as blacksmith and one of Jefferson's most proficient nail makers. The Slavery at Monticello Tour gives a deep insight into the lives of these enslaved people and is one I would suggest everyone take. There are several other tours, Behind the Scenes House Tours, Garden Tours, Heming Family Tours, and a kid friendly tour, so schedule an all day visit and take as many as possible. You can leave and return on the same day as long as you keep your ticket. For lunch, I suggest a trip down the mountain to Michie's Tavern.